The Beach Club Resort & Spa > Blog > Hotels vs. 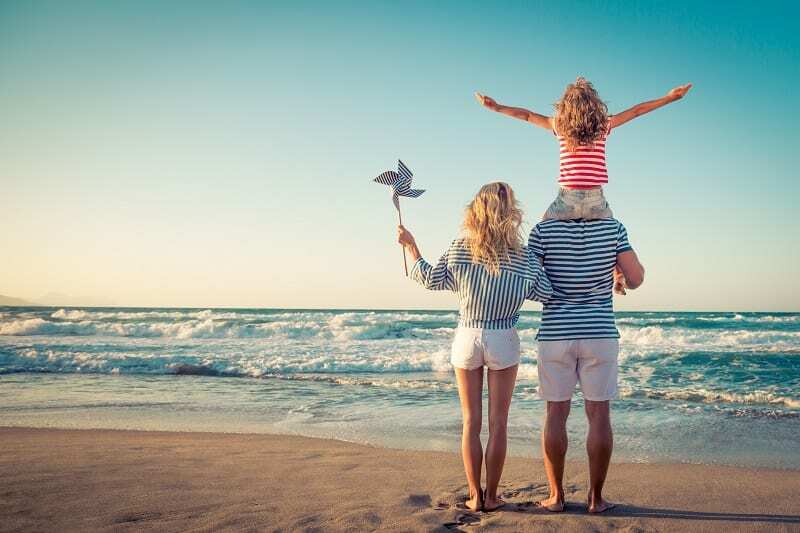 Vacation Rentals – Which is best for your family? You did it! You have completed all the research and found the perfect destination for your family’s next vacation. Imagine yourself taking tons of photos to share with your friends! Now the next step begins – booking a place to stay. Should you book a hotel or a vacation rental? How do you decide? Don’t bother yourself with contacting a travel agent. We are delivering all the facts to help you choose the best option for your family’s next vacation. When deciding on your place to stay, the first thing to consider is how many people will be joining you on vacation. Is it just your family? Are you bringing along nieces and nephews or are two families vacationing together? Even as a family of four, if you are looking for more privacy, the cost of additional hotel rooms can add up quickly. Vacation rentals are an excellent choice for party size groups because of their room options. With joint living spaces such as the living room and dining room but also the privacy of individual bedrooms, you really do get the best of both worlds. Also the price for a 3 bedroom home could equal or be less than only one hotel room. Vacation rentals are individually decorated for a more “feeling of home” experience. Plus, you won’t hear the maids coming and going. What are your food options? Hotels provide various on-site dining options such as restaurants, a buffet, or breakfast bar. Would you want to be restricted to specific menus or a dinner schedule for your entire trip? Also, is there anyone in your family with dietary restrictions? If that is the case, as it is for many families, vacation rentals are the best option because they provide a fully equipped kitchen. Guests can spend more time together preparing meals of their preference and also save money! Many vacation rental management companies even offer grocery delivery, so be sure to ask. How important is daily housekeeping? Housekeeping and provided linens can vary in vacation rentals and hotels. Each vacation rental is supplied with a washer and dryer for the guest to use at their disposal. Linens can be provided or you may even have to bring your own. Also, some vacation rentals offer daily housekeeping, but at an additional charge or “al a carte.” Be sure to get all the information on their housekeeping packages before booking. Many hotels offer complimentary daily housekeeping and provide the linens and amenities daily. Vacation Rentals may or may not provide you with an amenities package at the time of check-in. Is this something you really need for your vacation? Does your family ever use the soaps or shampoos provided? Do you like to operate on your own time? Hotels tend to have more of a “tight schedule” for meals, housekeeping, fitness facilities, etc. When you book a vacation home you are on your own time. You don’t need to rush your daytime beach trip to make a dinner reservation. Vacation Rentals offer the luxury of in-room features such as a personal washer and dryer and a private kitchen so you can do laundry or cook meals at your own pace. Your vacation should be relaxing and not in a rush. Also, be sure to educate yourself on services provided by your hotel or property management company such as concierge, front desk, room service, and valet. Most hotels provide this service, but a vacation rental can depend on which property management company you are booking. The place you plan to stay during your vacation can really make a huge difference in your experience. If you consider the topics we have mentioned above you can definitely find the most ideal spot for your family. Keep in mind everyone is different and has different needs when it comes to their vacation. We hope you enjoy your next trip!